The story actually begins with my truly amazing helper, Hils, I am one of the few people that have been blessed with someone, who, for the past eight years, has helped keep me sane by making sure my place is spotless and tidy. There are days when things don’t go too well in the office. I drive home dejectedly, put my key in the lock, open the door and immediately my senses are assailed with the fresh smell of pine and lemon. I look up and the place is spotless – all is right with the world again. Nobody tidies like Hils. She is almost obsessive about order and arranges the tins in my larder, the books on my shelves according to height and colour. So good is she at tidying and putting stuff away, that I sometimes have problems finding things. But that too is a small problem as all you have to do is call her and she will know in a heartbeat where the item in question is. Aside from cleaning she is able to revive any plant that I have unwittingly killed or maimed. She is the reason I am able to enjoy the lushness of my balcony. Great though she may be, she has one quirk that I find can be quite trying. You see in Hils’ world, all things need to match – like green cushions with a mottled brown sofa, like certain decorative items on certain tables and for some reason, she has decided that tissue boxes have no place in the living room because they just do n’t go with anything. Every time, I place a nice tissue box on the coffee table, it gets moved to the dining table. I have tried countless designs to no avail. Every time there is a weepie on TV and I reach for the box, it is not there. Then there is the mad dash for the dining room or worse, to the loo for loo paper, if she has decided that even the dining table won’t do. Days later, when I am looking for something else, I will invariably find the box squirreled away. I have even resorted to look for special tissue box holders to hide the box but have yet to find one that I like. So I have decided to be very Zen about the whole thing and just let it be. And in that let be, something amazing happened. The tissue box has stayed put. At first I thought she was unwell and overlooked it but no, it has been 3 weeks now and the box is still there. And when I changed to a similar looking box, it still remained. I began to wonder, why now, what was so different about the box; was it because it was square or were my positive affirmations finally working. 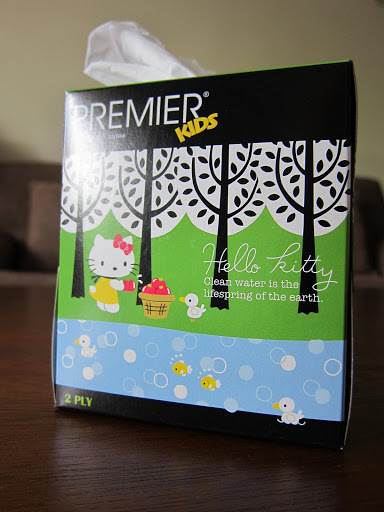 Looking at the box intently, it suddenly hit me that it was a Hello Kitty tissue box wonderfully illustrated with Kitty sharing a nice walk through the forest with a friend. All my other boxes where very adult in design and Hils who recently became a grandmother, has always had a predilection for cute things but I just never made the connection. The wonders of a brand that is decades old and still able to impact one’s life in the most unusual way! But why am I surprised. Isn’t that the beauty of great brands – they have the power to connect to their audience in a way that transcends borders, ethnicity and age. I have always been in awe of brand Disney and would have understood the lure as they offer a plethora of characters for us to connect with. Plus the characters have been through the amazing Disney marketing and merchandising machinery for the last 50 years. Kitty which only debuted in the 70s is an icon all on her own and in comparison to Disney, hasn’t gone through the huge publicity mill. So how did the little Bobtail cat with the bow become so popular and what was her appeal? 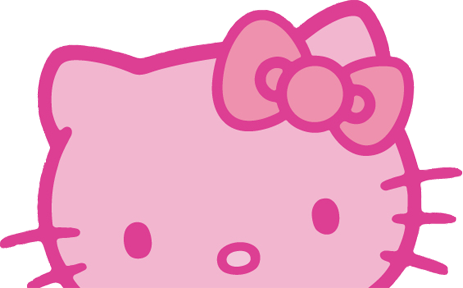 For me, Kitty represented a luxury/aspirational item that was unattainable as a child. Now that I am older and can afford her, I admire the brand for evolving and aging gracefully with her fans just like the other icon I admire – Madonna. I have always professed a desire to own a Swarovski Kitty evening bag and will no doubt succumb to temptation soon. Until then I will just have to settle for Kitty tissue boxes. If you have a favourite Kitty memory or a moment, or would like to offer an explanation on the Kitty phenomenon, I would love to hear it.